This is what I got for our dinner last year. I know it is a way too old reason behind of sharing this now is I couldn't find the picture. I am not sure if I was able to share this already or not, so I got to make sure. Since I miss seafoods so much. I asked my husband to go out and dine at the seafood restaurant we have here. 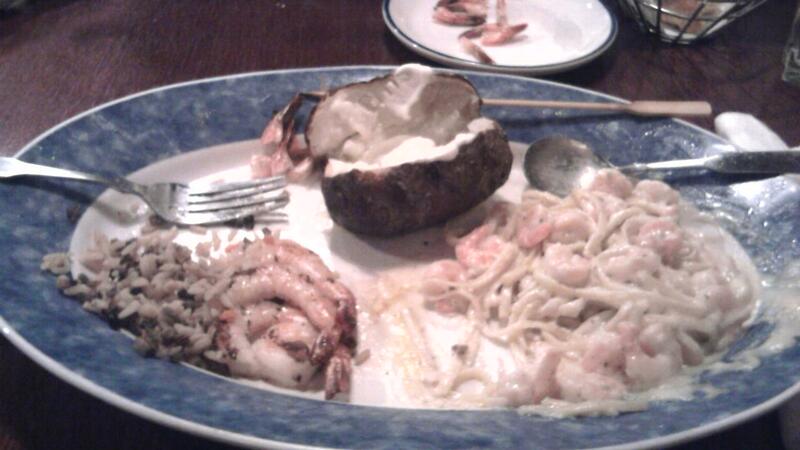 They called it Red Lobster, although I never picked red lobster we decided to go for the eat all you can shrimp. But beware of eating too much it is not healthy. We should be conscious about our health for the foods we eat. Not because they don't have the much calories it doesn't mean they are safe. Still it is not good to eat too much food. Unless you have health insurance. Speaking of which, do you have health insurance? If not I know where you can find an affordable health insurance for you and your family. It's better to be secure than having no health insurance at all.